"PMS is as painful as getting hit in the stomach with a hammer." Look lads, we know - PMS is the worst. Mood swings are the worst. Cramping is the worst. Feeling like you want to eat every single item in your fridge and sobbing violently while doing so is the worst. 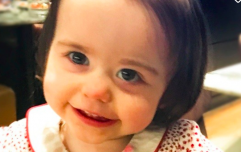 And when all of those things finally subside a bit, we're left with the delightful prospect of bleeding right out of our bodies for anywhere between two to eight days. But despite all of this annoyance, irritability, and genuine horror, periods are normal and we need to treat them as such. Chatting openly and brutally honestly about menstruation is the only way that we can erase the outdated idea that having your period is dirty and disgusting - it's also the only way that women can share their remedies for chronic PMS pain and general cramping. Luckily, a load of women in the States have already taken it upon themselves to do just that. 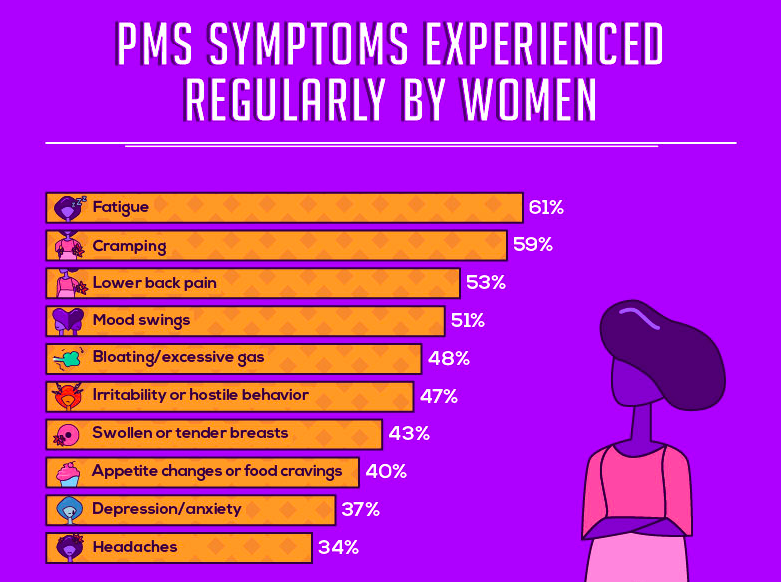 Research compiled by Body Logic MD shows that PMS symptoms are likely to affect most menstruating women either physically or emotionally at some stage. One 27-year-old woman from Texas said that her symptoms were as painful as "being sick with the flu and getting shot." Another 38-year-old woman from Missouri said it was as bad as "being hit with a baseball bat" while another said it was like "getting hit in the stomach with a hammer." 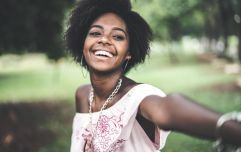 The study found that the most common symptoms associated with pre-menstrual syndrome are (unsurprisingly) fatigue, mood swings, cramping, and lower back pain. Bloating, excessive gas, headaches, depression, and anxiety also feature in the top 10 issues faced by PMSing people. 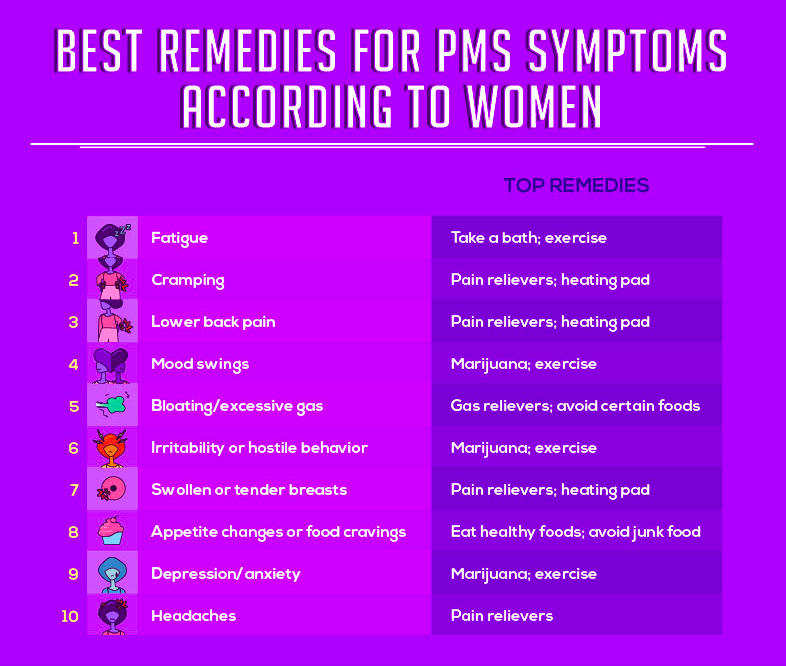 It's not all aches and pains though, because the 513 women surveyed also gave their remedies and solutions for their symptoms so, you know, handy enough info to have going forward. The top solution for most of the ailments was, unfortunately for us over here in Ireland, marijuana. While cannabis advocates have said that the benefits of smoking weed include alleviating physical pain due to cramping, there is little concrete evidence to suggest that marijuana can positively affect a person's mental state. After that though, there were the usual suspects - painkillers, heat packs, exercise, and avoiding certain foods - all used to alleviate the pain and discomfort associated with PMS and menstruation. Tough enough having a uterus, isn't it?